A fourth quarter earnings report for online gambling service provider Amaya Gaming shows significant losses in both active customers and profits. The Canadian gaming company has been working over the past several months to diversify its platform following several major and expensive setbacks worldwide. Amaya’s fourth quarter earnings report showed that the firm lost a total of $15.8 million (CAD) during the last portion of 2015, bringing the company’s yearly loss to a final total of $25.9 million, despite a total annual revenue of $1.37 billion. 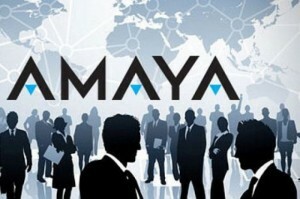 In 2014, Amaya posted a profit of $125.2 million. Much of this difficulty can be attributed to a factor far beyond Amaya’s control, namely the negative currency parity that the CAD has faced against other major currencies around the world. The Canadian dollar opened the year trading at 1.16 against the US Dollar. By the end of December of 2015, it was trading at 1.39, a substantial decrease in value relative to the currency of its southern neighbor. This has both increased Amaya’s relative expenditure on expenses in non-Canadian markets and made Canadians more wary about spending money on online gaming. These international markets, however, have caused Amaya difficulty that goes beyond simple exchange rates. In Austria, the firm was recently made to pay $32 million in gaming fees that the Austrian government said were owed to it by the Rational Group, another gaming firm that was acquired by Amaya in 2014. The European Union, as a whole, has not been good to Amaya of late. Increased VATs in several member nations have caused Amaya’s cost of doing business in Europe to increase, and the firm was all but forced to exit the Greek market following costly licensing reforms instituted by that country’s cash-strapped Syriza party last year. The news from the fourth quarter, however, was not all bad. In total, Amaya relieved itself of $569 million in debts over the course of 2015, giving the firm a more balanced revenue to debt ratio going into 2016. Amaya has also been focused on diversification, moving away from its heavily poker-oriented business model in order to appeal to a broader range of customers. The firm may also be able to regain some of its lost market share in 2016 by re-entering the Portuguese market, from which it was also temporarily barred pending regulatory approval.